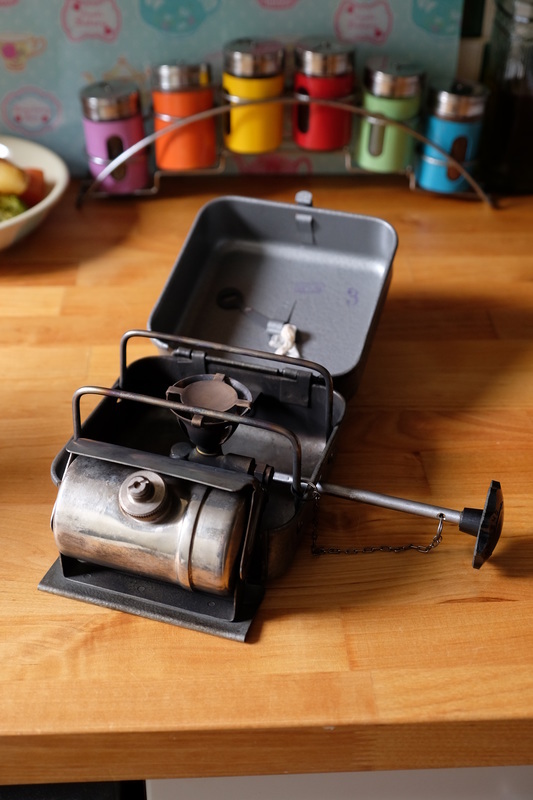 Having being campers for a number of years we are used to cooking and eating outdoors and have had various stoves over the years from the single burner butane gas canister types to a propane tank with cast iron stove attached. they have all done us proud over the years, some better than others in terms of how quick a pan of water can be boiled for a brew but all generally got us through trips away. A couple of the things we've had to consider for our longer trips are space and availability of fuel. Whilst we have the luxury getting Calor Gas throughout the UK and Campingaz in Europe, the rest of the world is going to be a bit of an unknown. 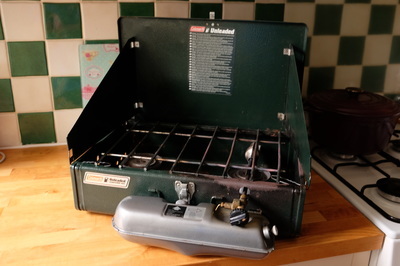 After a bit of research as to how other overland travelers have done it, it looked like dual fuel stoves were the way to go. They are often small and compact and generally simple in design and construction with fewer parts to fail. The real beauty of dual fuel stoves is the fact that you can pretty much fill them with any fuel including petrol which means that we would have a stove that would work wherever we were in the world. There are plenty of dual fuel camping stoves available from people like MSR, Primus and Optimus etc. but these are all aimed at the camping and mountaineering market and generally only have a single burner which lead us to the Coleman 424 Dual burner stove. Now some of you may remember our previous experience with a stove in the back of Ruby in which she managed to escape just losing the rear bench seats, so liquid fuel (petrol) did make us both nervous. After a year or so of using the stove and actually cleaning it we found we loved it and wouldn't change it for anything and decided that a single burner similar would be useful and secretly coveted the Optimus Hiker+ stove but a sky high price put it out of our range. We then discovered that Optimus had been making these stoves for decades and that the Russian military actually cloned the design which made it even more desirable. By sheer coincidence whilst looking for an Optimus stove on eBay, we found that you can pick up one of these Russian cloned stoves for around £60 and before you could light a match it was purchased. Whilst all the fun was going on with the dual fuel stoves the genius known as Bob introduced us to the Jet Boil system at the inaugural Adventure Travel and Overland Show We were hooked and haven't looked back. 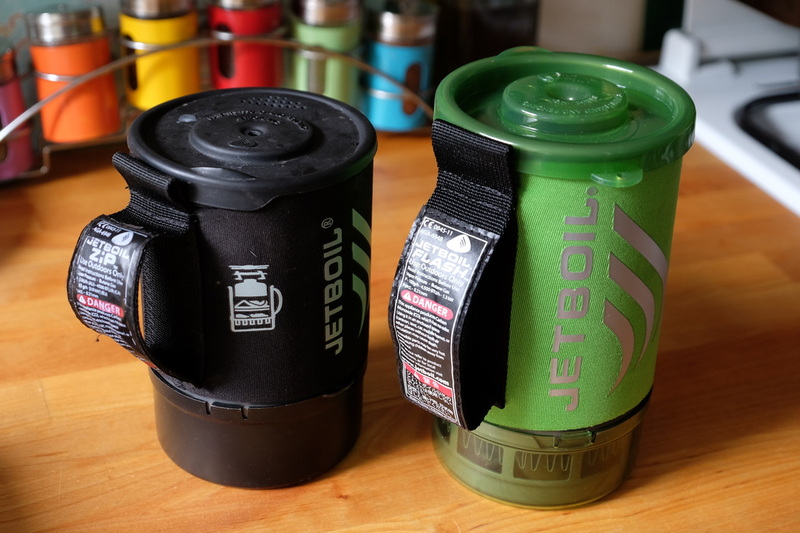 We can't say enough good things about the Jet Boil kit, ideal for boiling water very quickly and compact enough to fit into one of the Gomo boxes in the draw system making it easily accessible at all times.